Despite a turbulent campaign, Japan won their group in Asian qualifying to secure their place at the finals, finishing ahead of Saudi Arabia by a solitary point to advance to a sixth consecutive World Cup. A 2-0 win over Australia in their penultimate game saw them book their place and secure first position in the group, claiming one of two automatic berths at the finals as a result. 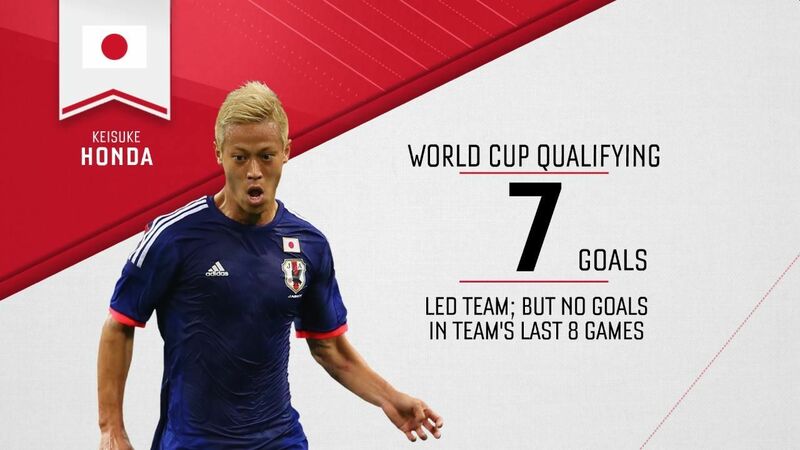 An experienced group of players at their core, several of whom will be appearing at their third World Cup, means Japan will go into the finals in Russia knowing what lies ahead when they take on Poland, Senegal and Colombia. Eiji Kawashima, Keisuke Honda, Yuto Nagatomo, Shinji Okazaki and captain Makoto Hasebe all played in 2010 and 2014 and it will be up to them to give the team the much-needed lift behind the scenes after a difficult lead-in to the finals. Japan's comfort in possession remains a positive. After a disjointed qualifying campaign and a difficult set of friendlies in the buildup to the finals, the sacking of Vahid Halilhodzic has caused significant turbulence within a squad that has been left with just two months to repair the damage under new coach Akira Nishino. The former Gamba Osaka boss, who won the Asian Champions League title in 2008, has never coached at a World Cup, although he led Japan at the Olympic Games in 1996, where they pulled off a surprise win over Brazil. Keisuke Honda remains the biggest star in Japanese football, even though his influence on the pitch has been on the wane in recent times as a lack of playing time in a top level league has blunted his edge. In a team arguably lacking the personality and quality of previous editions, the bleached-blond attacker will generate the headlines at home while his influence in the dressing room, especially among the younger players, remains important. It is likely new coach Nishino will lean on Honda to lift the spirits in the buildup to the finals, and the 31-year-old has managed to reclaim some form after joining Pachuca in Mexico after a disappointing three-and-a-half season spell with AC Milan. Japan have twice reached the knockout phase of the World Cup, in 2002 and 2010, so anything less than a run to the round of 16 will be seen as unacceptable even under the circumstances the Japan Football Association created by firing Halilhodzic. But Japan have been in a steady decline for much of the past decade, with some attractive football failing to mask the shortcomings of the Samurai Blue. 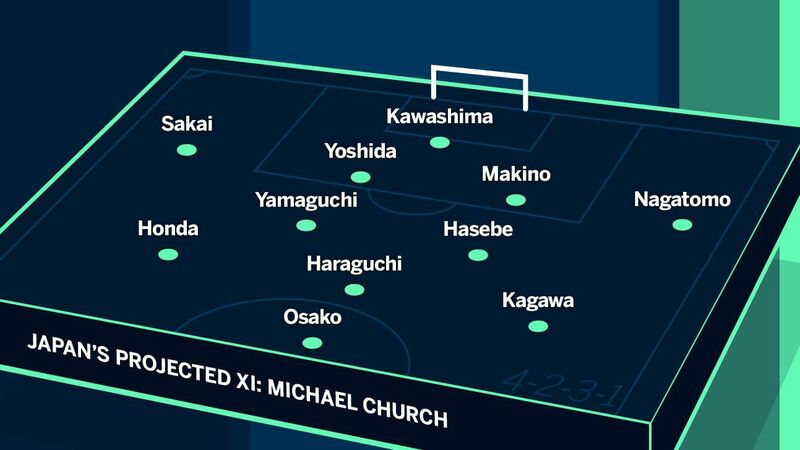 Nishino was appointed in mid-April and will have less than a handful of matches to put over his message to a squad that is low on morale and also lacking the quality of previous incarnations. It's hard to see anything other than a first round exit for Japan -- should they go into the final round of group games with a chance of advancing, that could be deemed to be something of a success.